Elon Musk says EVs will account for half of all new-vehicle sales within 20 years. FREMONT, Calif. -- Tesla Motors has done what some cynics doubted it could ever do: launch production of its battery-powered cars at its own factory. Elon Musk's frisky electric vehicle startup is now building one Model S electric sedan a day in a corner of the former New United Motor Manufacturing Inc. plant here. It is limiting the numbers in an effort to control quality, but Tesla anticipates ramping up to 80 cars a day by year end. And Tesla is not turning out a Nissan Leaf or a Honda Fit electric econobox, but a pure-electric sedan that accelerates quicker than a Porsche Panamera, handles corners with the tenacity of a terrier and, Tesla claims, has a range of 300 miles. The higher production run rate would represent an annual pace of 8,000 units on a single shift, said Gilbert Passin, Tesla's head of manufacturing. So far Tesla has built "at least 20" cars for sale, which includes customer orders and dealership demonstrator models. Each finished vehicle gets a 100-mile shakedown test by Tesla engineers after it leaves the assembly line, Passin said. But what happens after all 9,800 early adopters who plunked down $5,000 deposits have their cars? Can Tesla fight the day-to-day retail wars with BMW, Mercedes and Lexus and convince the mass market that the economics of the Model S make sense? It's pricey. The sticker can hit six figures. But slightly slower models of the new Tesla, with less range, can be had for less than $50,000 when federal tax credits are factored in. Musk, Tesla's CEO, thinks he's on on the right track. 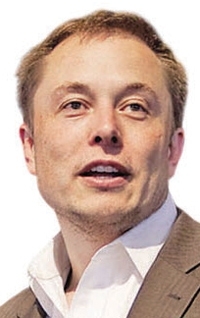 He predicts electric vehicles will account for 50 percent of new-vehicle sales within 20 years. 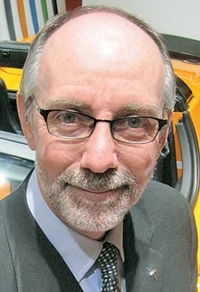 "The momentum of electric vehicles is rolling," he told reporters at the June 22 line-off ceremony at the Fremont factory. "It will probably happen sooner, in the 12- to 15-year time frame." Blankenship: "I know where we need to go." George Blankenship, Tesla's vice president of sales and ownership experience, said demand has grown for the car "without advertising or a single test drive," suggesting that future marketing and publicity gambits will keep sales percolating. "Our first quarter was stronger than our fourth quarter [of 2011], which was stronger than our third quarter," Blankenship said. A buyer putting down a deposit today will have to wait until May for his Model S to be delivered. Tesla is looking to cut the wait to three months, but Blankenship could not say when that might happen. Jesse Toprak, TrueCar.com vice president of market intelligence, isn't convinced. "At current price levels, the Model S is not a slam dunk from purely operating cost perspective. It is more of a statement," Toprak said. "A key to reaching high volume will be to offer attractive lease programs. Most consumers may be skeptical to own a brand-new technology, but they will be more likely to lease one." Tesla has 12 U.S. factory stores, seven of them in trendy shopping malls. Tesla expects to add 10 this year. Two will replace stores with older designs; the others will be in new markets such as Scottsdale, Ariz.; Portland, Ore.; and the Northeast corridor between New York and Boston. "Some companies spend a ton of money analyzing [shopping] data," said Blankenship, who also led the retail expansions of Apple and Gap Inc. "We don't. I know where we need to go to get in front of people." The current factory stores were supposed to draw 1,000 visitors a month, but Blankenship said the customer flow is four times that. In Los Angeles last week, more than 1,000 vetted customers had signed up for test-drive appointments. As for service locations, Tesla has 10 in North America. By the end of 2012 it wants 29. Tesla is trying to make the driving and ownership experience as simple as that of a normal car. Indeed, that may be the most important factor for its long-term viability. Tesla has developed a 90-kilowatt, 440-volt supercharging technology that can recharge a 300-mile-range car in one hour. It will be ready for delivery "in less than a year," said J.B. Straubel, Tesla's chief technology officer. Straubel likes to use "range per hour" as his recharging measurement of choice, calling it a much different equation to quickly recharge a 300-mile Model S than an 80-mile Nissan Leaf. He said the possibility of charging 150 miles of battery range in 30 minutes is "not science fiction." Then again, an average American home does not have 440-volt current, so engineers are also working on 220-volt charging times. Tesla has achieved its first goal; a much longer to-do list lies ahead. Tesla's test drive: Manipulation or circumstance?